Do you have big plans to travel over a major holiday this year? 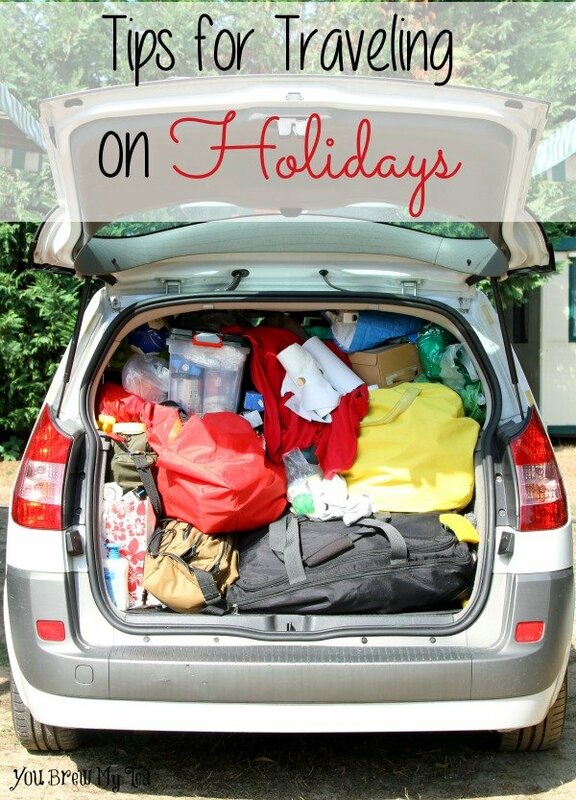 Here are some great Tips for Traveling on Holidays that will help you whether you are heading out for the Christmas break, or simply on the road for the 4th of July, Mother’s Day or Labor Day. Any holiday on the road can lead to issues with traffic, lodging and time pressures. Here are things you can do to prepare for your next travel excursion over the holidays. The only problem is knowing where to go! If you are a family that has trouble leaving on time, make plans to leave early. Every major holiday has a “rush” time, which means some travel times are busier than others. Leaving when everyone else leaves will not help you get to your destination any faster. Even if you’re not in a hurry, leaving before rush hour traffic hits can help you stay less stressed as you travel. Check the local travel news for not only your area, but the places between you and your destination. Make sure to add some buffer time into your travel schedule so you won’t feel pressed for time on the way. Although it may be tempting to stop wherever you want on your way, knowing where you’ll stop can help making traveling on the holidays a lot easier. Of course, if you have kids in the car, knowing where you will stop can help everyone keep their sanity during the trip. Check out all of the towns and cities between you and your destination and plan for stops at rest areas, convenience stores, gas stations or restaurants not only to fuel your car and body – but to stretch your legs and get fresh air. While traveling on holidays, there’s nothing worse than losing traveling time due to everyone being hungry. Always pack lots of snacks when traveling (holidays or not). Packing easy snacks like pretzels, cheese sticks, crackers, and nuts will make your traveling life a lot easier. Add a small cooler to the backseat with bottled water, juice and other drinks to keep you hydrated and save money on pricey gas station drink purchases. You can follow all of the “rules” for packing, but when it comes to the holidays, pack for what makes sense for your family. Maybe you have two or three dinners to attend over the holiday vacation, don’t be afraid to pack three dress up outfits. You know your family and their individual needs, especially while traveling, so make sure you pack what you need. If you are traveling in your own vehicle and not flying, this is much easier to manage. Don’t worry about what others do – pack what is best for your family. No matter how many hours you spend planning for the perfect vacation, something will go wrong. This is not a negative mindset, it’s just part of life. When you have an understanding that things don’t always go your way, you can deal with them a little easier. One thing we recommend when traveling is to add at least one buffer day into your schedule before you have to be back at home or work. This makes it easier should something come up. Also have an extra emergency fund available for car repairs, etc. as needed. Investing the roughly $100 a year for AAA Roadside Assistance is another smart option for anyone heading out on a road trip. These are some of our best tips for traveling on holidays, but there are dozens more things you can do to make it easier on yourself. Most tips when it comes to travel really do depend on how much time you spend preparing. Think ahead and make sure you have everything on hand you could need to make a trip easier on you and your family. Check out our other favorite travel tips to help you enjoy your time away from home! We’ll be taking a road trip soon, you have some great tips here! Thank you for sharing with us on Brag About It!